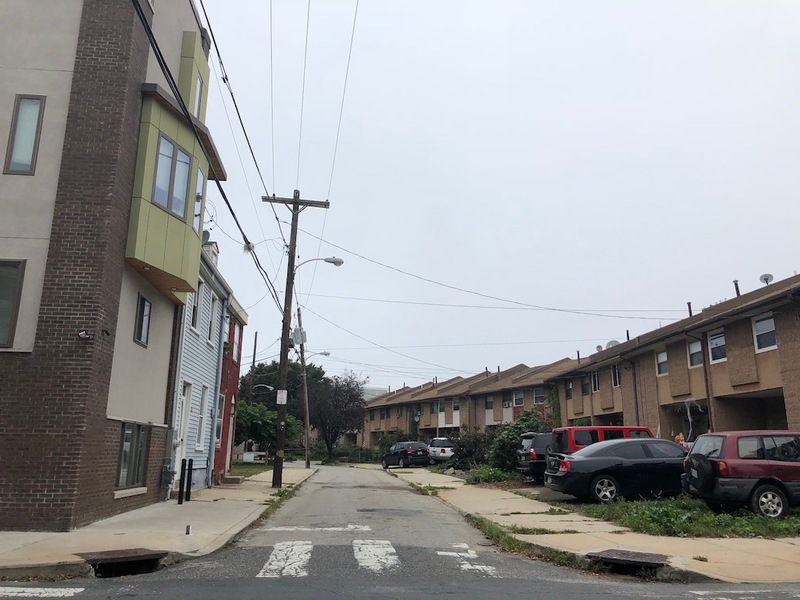 The 1300 block of N. Orianna St. is not your typical block, but that doesn’t really come as much of a surprise in this part of South Kensington, where unusual blocks probably outnumber typical blocks. The east side of this block is dominated by two-story homes that date back to the mid-1960s that we suspect were built as an affordable housing development. The homes definitely have an urban renewal vibe, as they’re set back from the street, have open air parking in the front, and aggressively reject traditional row home architecture. Further up the block are some affordable rentals, built more recently. 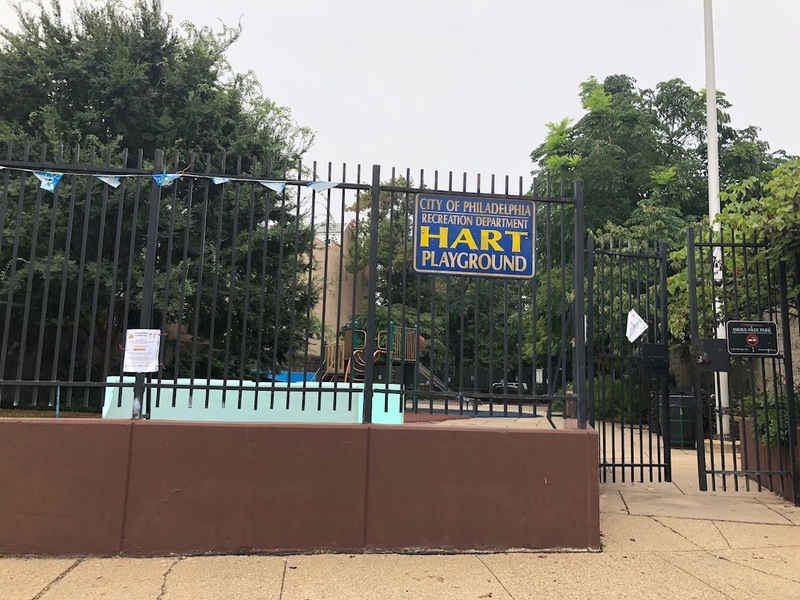 On the west side, there are a few old homes, a large swath of vacant land, and Hart Playground. Looking up the 1300 block of N. Orianna St. The lot at 1306 N. Orianna St. only makes up a small portion of the vacant land on the western side of the block. 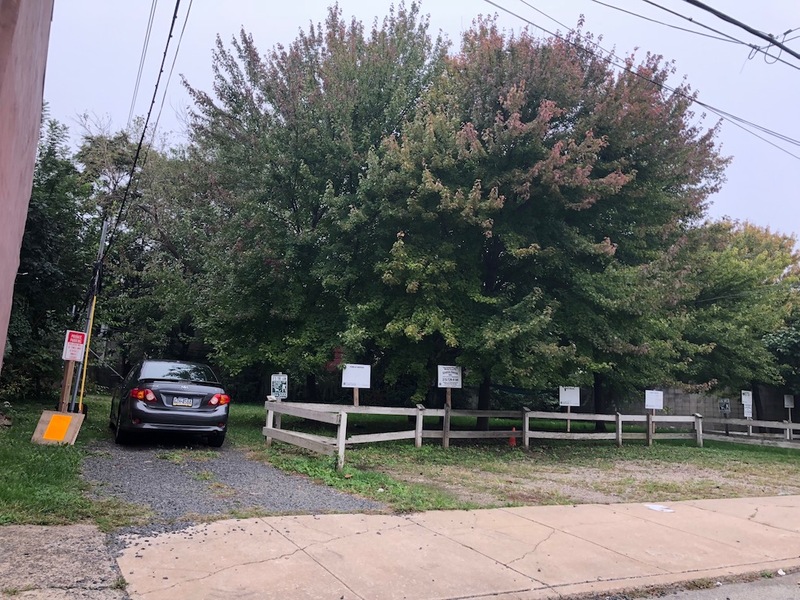 The rest of it covers 1308-14 N. Orianna St., a roughly 6,500 sqft property that’s been used for off-street parking for a number of years despite being owned by the City. You can see in the image above, there are some ‘Public Notice’ signs posted to the property, which we thought might be an indication that the lots were being sold by the Land Bank. Unfortunately, the signs are merely a warning that people should stop trespassing, er, parking, on the land. For what it’s worth, selling the land and having someone build some buildings here would probably be an even more effective way to prevent trespassing. To prove that point, it’s going to be much more difficult, in the near future, to trespass at 1306 N. Orianna St. with your car. So don’t even try it!